UCO Lantern Kit | BUDK.com - Knives & Swords At The Lowest Prices! 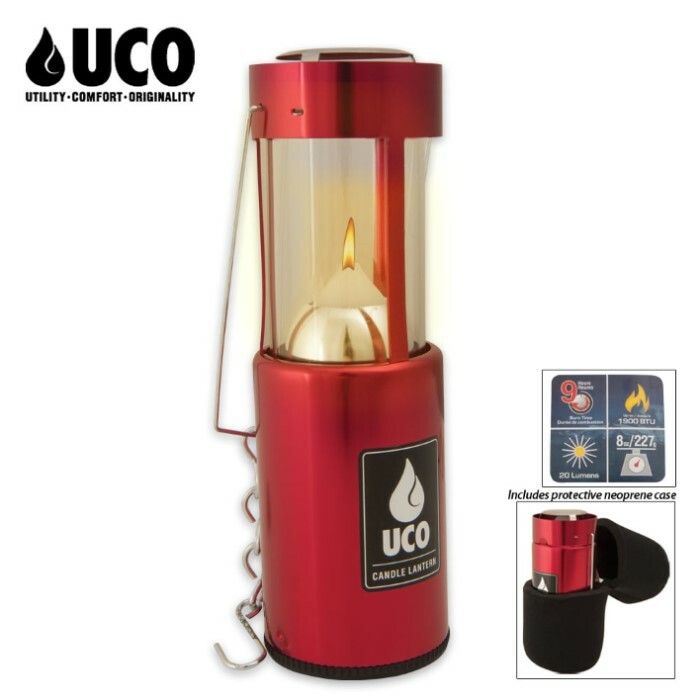 This is the classic, long-burning, collapsible Original Candle Lantern that has provided warm, natural light to millions of outdoor enthusiasts for decades. It is perfectly suited to backpacking, mountaineering, snow camping, and similar outdoor pursuits. Lightweight and compact. This has everything you need to go camping, well it doesn't have food or water, or anything like that, but if you have a lighter or some matches, it can make light...great little thing to have, very compact ans useful! These candle lanterns perform great! A must have for Camping, Survival kit, power outage. The candles burn clean and long, even in stormy conditions. This site has the best price on these too.